Square Enix will host another pre-recorded Active Time Report to share more details about Final Fantasy XV‘s launch next Tuesday. Director Hajime Tabata, global brand director Akio Ofuji, and development manager Yasuaki Nasu will gather to share more information about the “Crown Update” Day 1 patch that will be available to download. 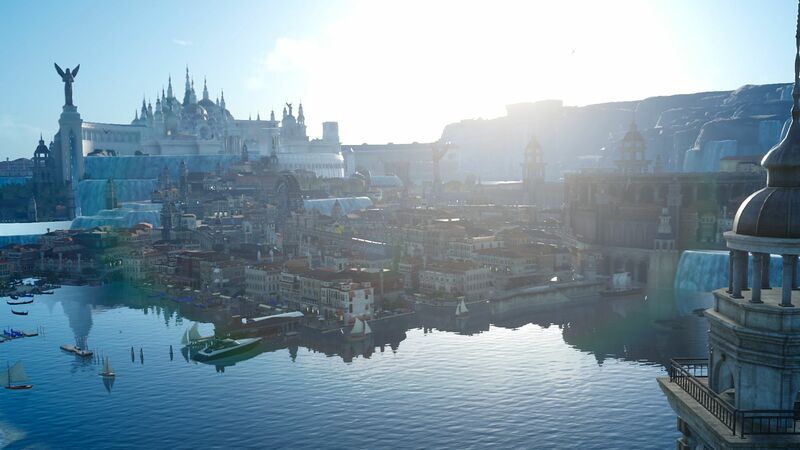 Details on what’s in the Crown Update were revealed earlier, such as the addition of Wait Mode, a monster-summoning whistle, new recipes, additional Kingsglaive cutscenes, and the ability to share Prompto’s photographs to social media channels. Expect the FFXV crew to further explain these features. You can catch the stream on Sunday, November 27th at 11:00pm Japan Standard Time or 6:00am Pacific US Standard Time. Final Fantasy XV releases on November 29th for both PlayStation 4 and Xbox One. Sure, hoping they have either a translator or subtitles this time around. Not just Deluxe Editions, but day one’s i’ve seen too! That’d be nice, wouldn’t it? I’m sure the west will soon get an ATR or livestream similar to what Japan’s getting now. But really, as long as we get footage of the features in action, I think that should suffice enough to understand what’s going on. We’ve already gotten ofc notes of everything that’s going to be in the update. What if the ATR is just 2 minutes long and it’s Tabata cussing out Peru? Got my copy last friday..